Providing the Worcester area with professional, fast and eco-friendly junk removal services. Can You Go ‘Greener’ With Your Recycling? Like most residents, you’re probably involved in home recycling. This is made easier when the city provides a recycling bin. Once you get into the habit of sorting papers, plastics, glass and soda cans it becomes second nature to you. However, you don’t have to stop there. Maybe you need to think about what kind of businesses you do business with. Is your favorite restaurant sustainable? What happens when you step outside your home? Are you still staying green? Here are some ways you get your green on! 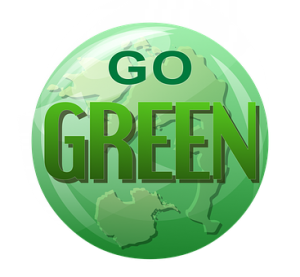 Any new appliance or product you bring into your house should go through a green test. For the machines, they should all be Energy Star rated. This tells you that the model is designed for energy efficiency. If your fridge, washer, dryer or dishwasher aren’t Energy Star rated, it might be time for an upgrade. As for everything else, check the packaging to see if it is made from recycled materials. If that packaging isn’t made from recycled materials, then fire off an email or Tweet to the company and ask them, “Why not?” That can make a huge difference, too. It’s not a stretch to say that most of the water you use in your home goes right down the drain. That is a lot of waste. You can be proactive with your water use. For instance, you don’t need to run the tap while you’re brushing your teeth. Your showers can be a lot shorter, too. Big savings on the water bill. Food waste is a big issue that is getting more attention these days. Grocery stores are obligated to throw out food when it has expired even if it is still good. Before your toss your expired food, check out it’s real shelf life. as mentioned above, recycling trash is always a good thing. But what about the stuff that won’t fit into the recycling bin? Suppose you want to get rid of old computers or futon? Those can be recycled to if you hire Junk King Worcester for the task. These junk hauling pros have set up partnerships with many local recycling centers and charities. That’s where the bulk of what you turn over to them wind up. It’s the perfect way to repurpose without exerting any effort on your part. Let Junk King Worcester handle all your junk recycling. Win/win. This entry was posted in Worcester Junk Removal and tagged green, junk, recycling on August 29, 2017 by Junk King. Last updated August 29, 2017 .